Now faster and more convenient. Because your job demands it. 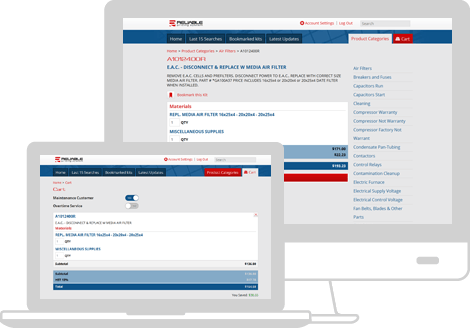 The Reliable Pricing System, a national online pricing system, enhances your company image and reputation in the HVAC service industry which translates integrity to your customer. Your customers will benefit by getting a repair quote from your company today knowing it will be the same tomorrow. Set your own labour rate, discounts, inspection fee and more. The Reliable Pricing System has drawn upon years of experience and thousands of service calls to establish the average time and materials required to complete hundreds of different service repairs. We take your hourly charge-out rate, desired parts markup and profit levels and then prepare for you a set of fixed prices that you charge your customers. The system will tell you the projected gross profit for the repair. 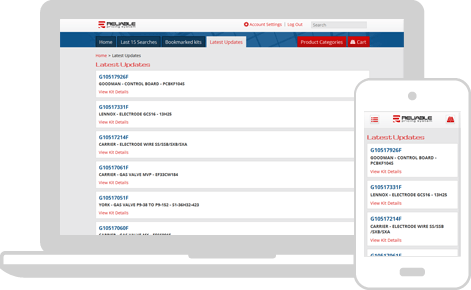 With an administrator and technician login, you can keep confidential business information separate from standard part requirements. Provide your customer with costs up front, before repairs begin. Give your customer an accurate repair quote which will be the same tomorrow as it is today. The Reliable Pricing System provides benefits for the customer, the technician and the contractor. Your customers benefit from knowing what the price will be before any work is completed. Your technician no longer has to guess at how long a repair might take or what parts he may need. You benefit by knowing that you are charging a price that is fair to the customer and will return a gross profit that will enable you to keep your business operating effectively and efficiently. Accurate and frequently updated part costs direct from major suppliers and manufacturers. 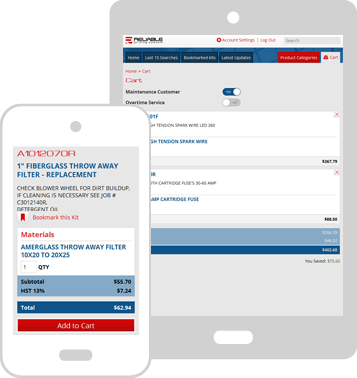 Thousands of parts and material costs are indexed in the Reliable Pricing System, complete with gross margin costs and average repair times.